The Texas Forensic Science Commission will meet, Thursday and Friday, April 14 and 15 in Austin. The last item on the agenda is to “Consider Willingham/Willis (#09-01) report draft and adopt final report“. The hearing starts at 1 PM on Thursday and at 9:30 AM on Friday. It is likely that they will not get to the major discussion on the Willingham case until Friday, since it is last on the agenda. There is a public comment period on the agenda for this meeting right before the discussion on the Todd Willingham report. The chair of the Commission, John Bradley, has lost support in the Texas Senate because of the way he has performed his duties as chair, so this will likely be his last meeting. The hearing is in the Central Services Building, 1711 San Jacinto Boulevard Room 402 in Austin. 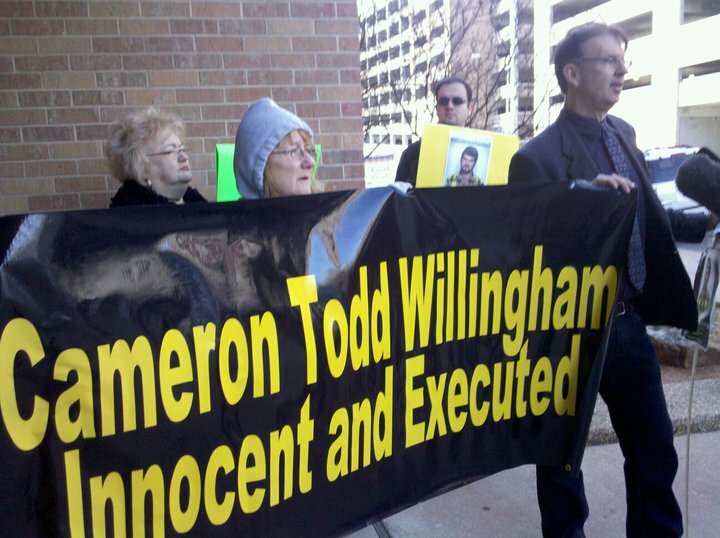 During a two-day meeting to begin Thursday afternoon, the Texas Forensic Science Commission will discuss a draft report on the arson science used to convict and execute Cameron Todd Willingham for a 1991 fatal fire at his Corsicana home. The report, compiled after input was sought from all nine commissioners, is at the end of the committee agenda, so the discussion might not begin until Friday. 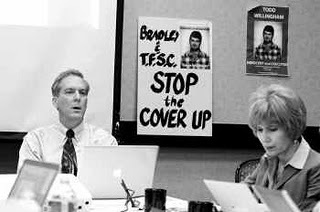 The report’s scope will be limited while the commission awaits answers about whether it has jurisdiction under state law to investigate the Willingham case. The attorney general’s office has until July 30 to provide an answer on that. The report is expected to focus on advances in arson investigation techniques while avoiding questions about whether Willingham’s investigators were negligent in basing their arson finding on fire conditions now known to be found in accidental and natural fires as well as intentionally set blazes. Unless another meeting is scheduled before the legislative session ends May 30, this will be the last meeting led by Chairman John Bradley, who is also the Williamson County district attorney. Because Bradley’s nomination does not have enough support in the state Senate, his time on the commission will end when the session closes.